For more videos, please visit Rik's YouTube channel. Performed at University of Nevada, Las Vegas. This work was transcribed by the composer and close friend, Adrienne Albert, from an earlier version specifically for Rik Noyce. The rendition has been performed throughout the U.S. and Canada. 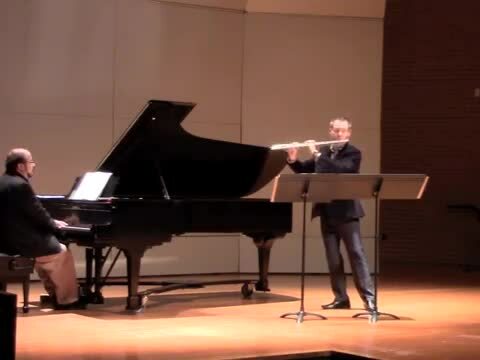 This performance was at the University of Texas at Arlington with Gabriel Sanchez, piano. This performance at the Riviera Baroque Festival was performed on a 1932 Rudall Carte: thinned cocuswood, silver keys, silver tube lined headjoint, one-piece body and foot, restored by Paul Rabinov, and graciously loaned to me for this performance. Philip Allen Smith, Conservator of the Organ at Walt Disney Concert Hall, plays organ. The Noyce-Morris duo plays an arrangement for flute an guitar of Georg Phillip Telemann's Sonata in A Minor. 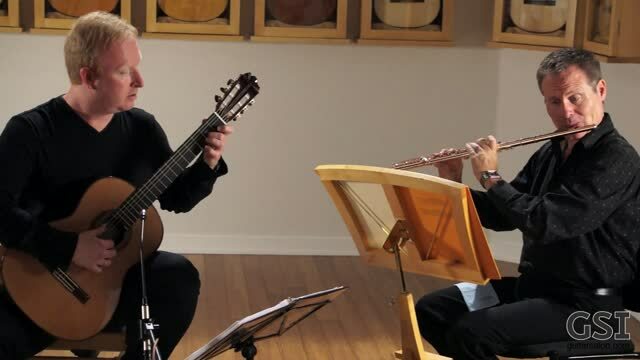 Recorded at the Guitar Salon International showroom in Santa Monica, CA, Scott is playing a new Jerome Casanova spruce and Indian rosewood classical guitar & Rik plays an 18K gold Altus handmade flute. This commissioned work, by Cody Westheimer, was premiered at the 2013 Canadian Flute Association Convention. Westheimer's music explores various tone colors and textures. In this piece, he chose to explore tone colors by employing harmonics and alternate fingerings. 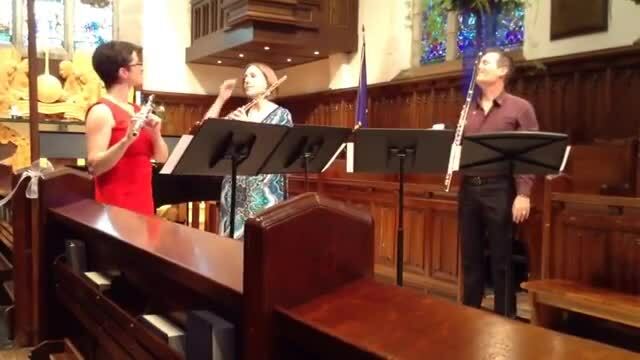 Written for two flutes and alto flute, I was joined in this performance by Whole Musician colleagues, Dr. Meg Griffith and Dr. Megan Lanz. Performed at California State University, Dominguez Hills. J.S. Bach, Kantate BWV 211 "Kaffee Kantate"
Isabella Ivy, soprano Rik Noyce, flute Karen McCann, harpsichord Brian Marsh, bassoon. Performed at University of Nevada, Las Vegas.